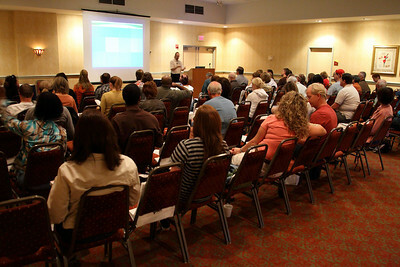 An amazing turnout for Canon EOS Discovery Day hosted by North Tampa Photography. With over 120 photographers from all over the state of Florida, the whole day was filled with back to back seminars, a display of the latest Canon high tech gear and great raffle giveaways. 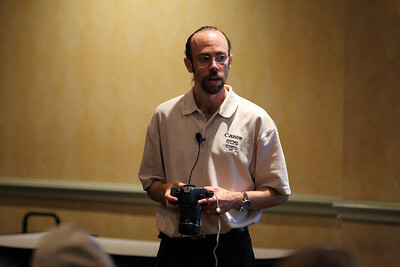 A special thanks to Drew MacCallum, the Canon Instructor for the first Basic seminar. 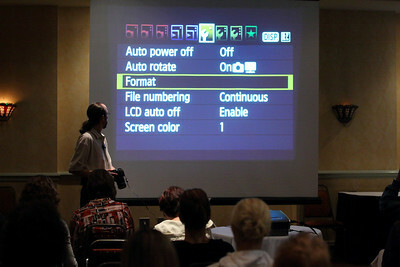 He did an outstanding job guiding aspiring photographers through the in camera menu and the basics of image capture. He made the frightening unknown of camera jargon into cheerful and pleasant terms. Kudos to Amanda Arrick. The first time to Florida instructing the Intermediate class to the more advanced group of the day. From the intricacies of Custom Functions to the Full HD movie capabilities of Canon DSLR's, she weaved her magical thread of knowledge with her audience. 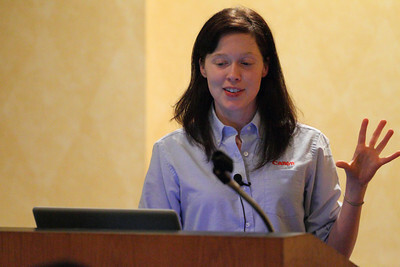 Don't miss out on the next Canon EOS Discovery Day. The next tentative date for Tampa is early spring. Keep updated on ChadSorianoPhotoBlog on Facebook or even North Tampa Photography on Facebook. I am sure you will not be disappointed by what you experience on this Canon filled day. I used a Canon EOS 1D Mark IV with an EF 70-200mm f/2.8L IS II,EF 24-105mm f/4L IS and a EF 35mm f2 lens. For the video, I used the Rode VideoMic for audio and edited with Final Cut Pro. You can see more in my Canon EOS Discovery Day 2010 Gallery.